We call this dızmana (read;desh-mana), dizman or dıclama. But mostly people just named it göçmen böreği. İt's not really like pastry you probably know which made from thin layers of phyllo dough or puff pastry or flaky dough pastry. 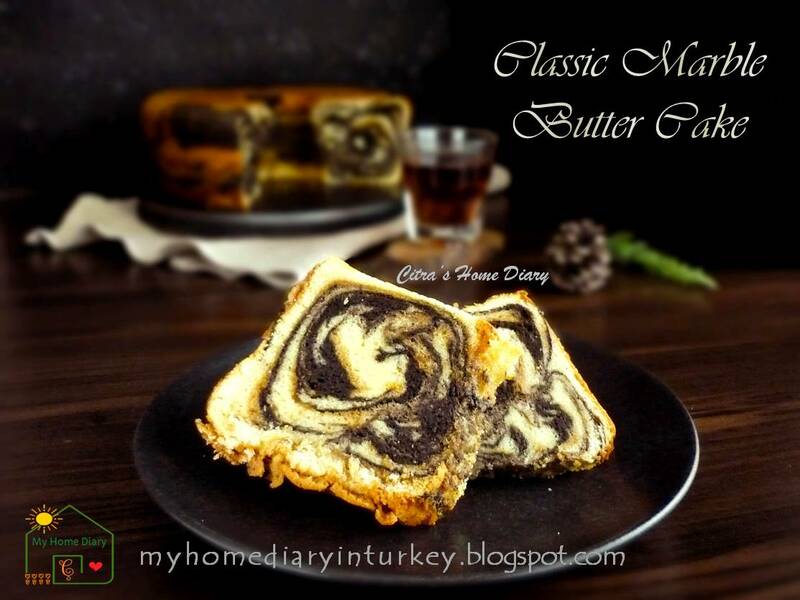 İt's a pastry dish, bread-like pour with yogurt egg sauce then bake. Sometimes fill with cheese or mashed potatoes, but plain without any filling also as good as with filling. This dızmana is commonly made in Bulgaria by Thracian immigrants. But now everybody across regions also love to bake it. 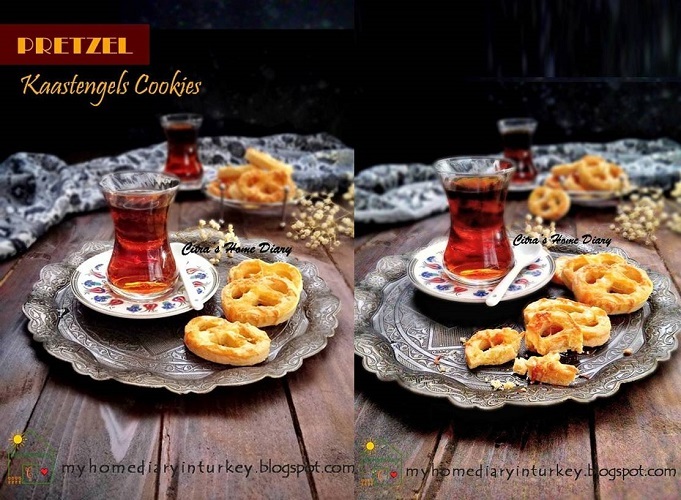 Also see my other Turkish pastry (börek) in "Börekler" category. Bread is staple here in my house. I bake bread almost everyday. Any kind of bread. For daily consume I bake no knead artisan style bread once in every two days-but if we get guess come over our house I bake more. 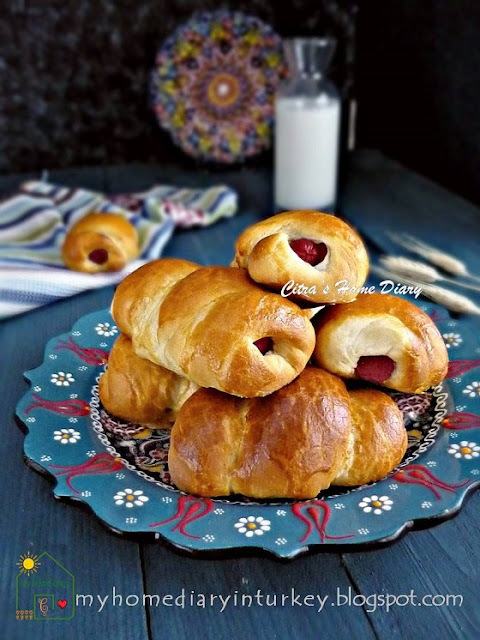 You can check my bread category to see my bread recipes. Local bread here has like other European bread which is has crusty exterior and chewy soft inside. Different from Asian style bread which mostly has cotton soft in texture and most probably has slightly sweet taste. Including Indonesian people. Bread is not staple for us. Yes sometimes we eat it for breakfast or brunch. But mostly we enjoy bread as snacking or "dessert" that is why our bread has soft in texture and slightly sweet. Resep dalamBhs Indonesia ada dibagian bawah. Famous among all Turkish people or people who had visited Turkey. 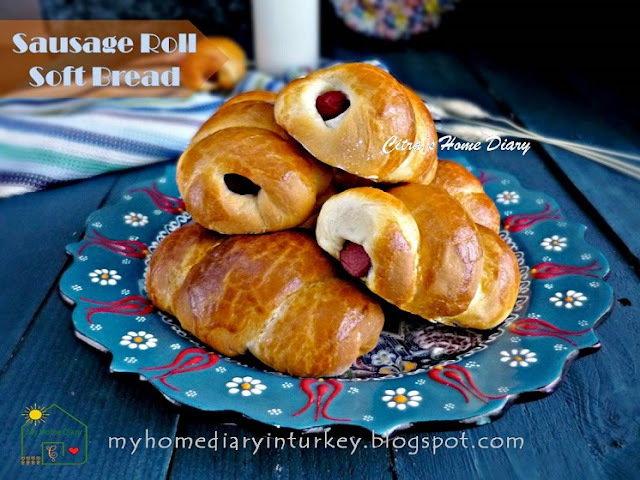 İt's very difficult to turn your head and did not find this- round, chewy inside, cover with sesame- bread. You can find it easily in every corner or mobile seller in Istanbul's street. 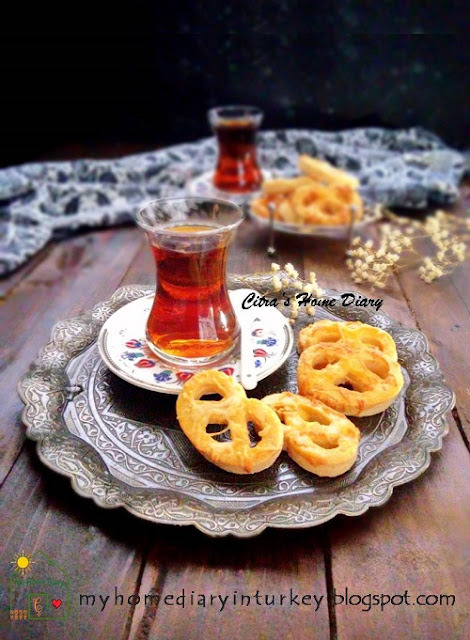 Every kid grew up with this simit. 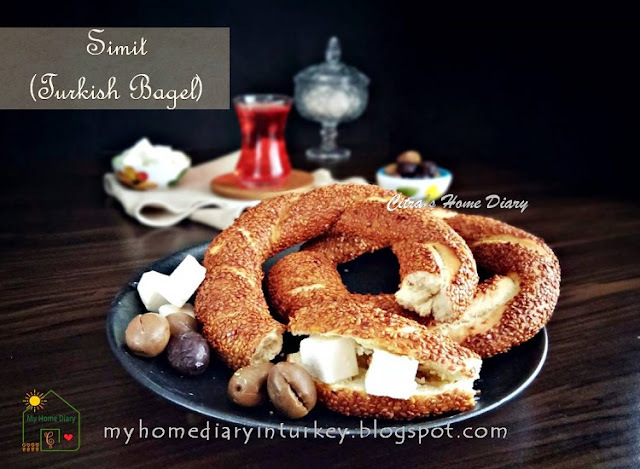 Every adult will miss this simit while they were away from their homeland. People can eat it almost everyday, every morning, every afternoon with a glass of hot Turkish tea or cold ayran (Turkish yogurt drink). This is one of fast food breakfast for busy worker or students in hurry to school. 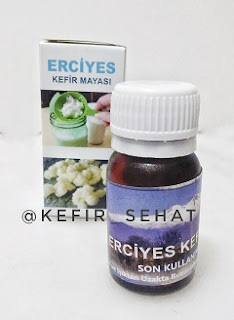 Selam.......... Merhaba from Türkiye everybody. My 1st post in year 2019. I know.... been a while. But İnshaallah I will not quit writing and share my passion in cooking. When I was younger I cooked for my siblings and my family since my mom worked at that time and mostly already tired after that. My aunties also master in cooking. She cooked for crowd and she was good on it. Took order from neighbours and friends. But since she's getting older now, she refuses some request for healthy reason. But my younger aunt still do it. Selam everybody...... Merhaba from Türkiye. Pickle in Indonesian cuisine is part of side dish that complement main dish or other meal. 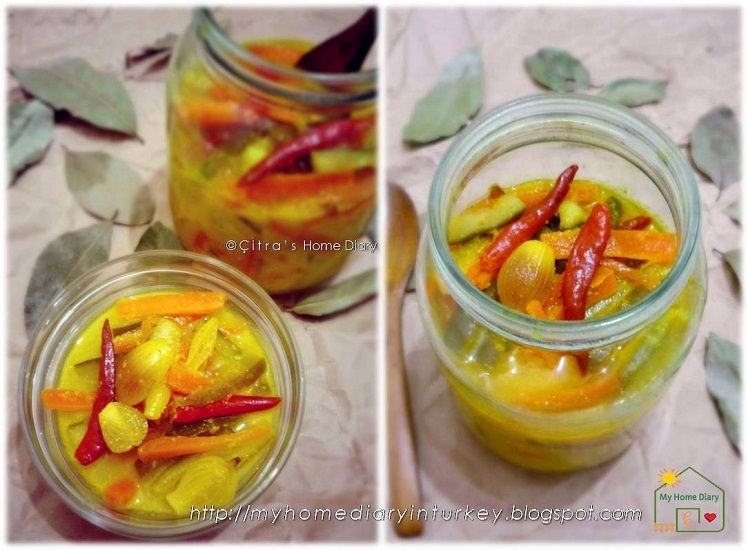 Different from other type of pickle which brine in vinegar or other solution and ferment for period of times, Indonesian pickle is quick to make and consume it freshly after made. Many vegetable and fruit we use for our fresh pickle e.g carrot, cucumber, bean sprout, cabbage, pineapple, shallot and more. We also have cooked pickle and generally serve as side dish- we call it "acar kuning" or yellow cooked pickle. So if you want to experience Indonesian food, here are I share some fresh pickles I made. 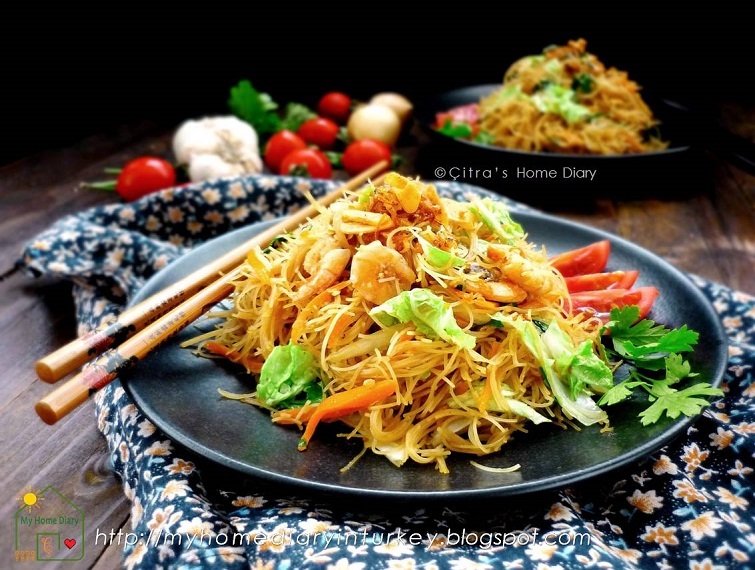 You serve some pickle with fried rice, fried noodle, and some Indonesian foods. 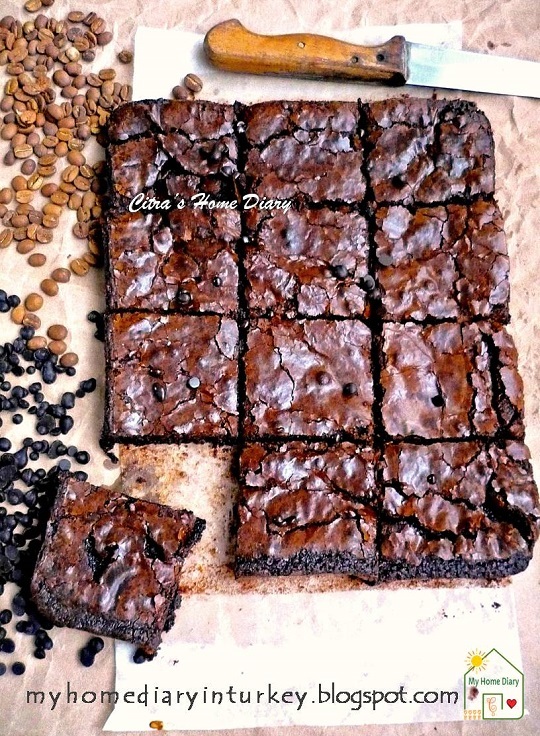 Brownies.. one of my choice to entertain my family during weekend or holiday. İt's quick to make and for sure nobody say no to yummy chocolaty fudgy piece. Forget to buy ready brownies mix and try this decadent brownie, it's so simple but so delicious, they are gone in seconds! Resep dalam Bhs Indonesia ada di bagian bawah. Are you "dessert person" ? Who always looking for something sweet after meal. My husband is that kind of person. He loves enjoying something light and fresh after his dinner. 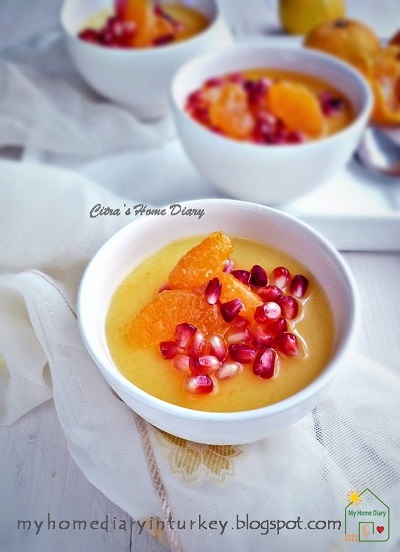 Back to my dessert topic, today İ made this delish white chocolate Panna Cotta. Yep, nothing simpler than making this İtalian dessert for the family. Panna cotta; İtalian origin made of sweetened cream and thickened with gelatin. Some flavor adding to enrich the pudding such as coffee, chocolate or simple vanilla. İt has delectable silky smooth in texture. İn some İtalian restaurant it molded then serve with warm fudge sauce. İ just lovvvee panna cotta... 😍 Who doesn't? İf you are browsing panna cotta around the net you'll find many kind of panna cotta with various flavors and topping or sauce. Using not only cream, some made with cream cheese, or yogurt or just like İ am going to share now.. İ mix it with white chocolate... YUM! 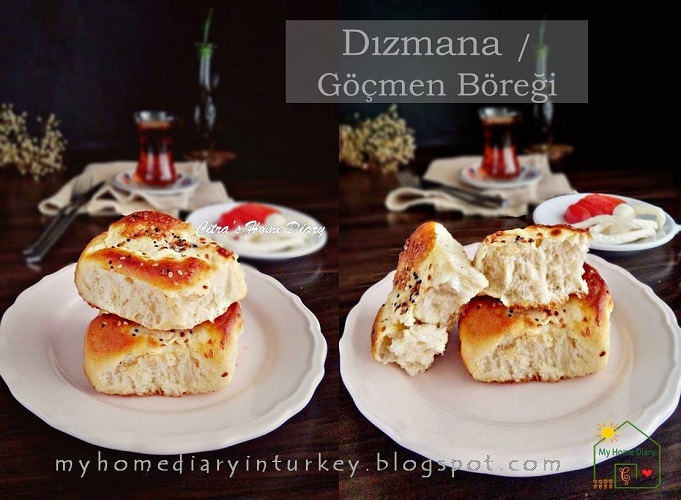 İn Indonesia we call it "bolu marmer". Taken from Portuguese language "bolo" means cake in English. "Marmer" is marble in English. So this is our old classic Indonesian Marble cake. Me and my siblings and my big family grew up with this old and classic cake. I remember my late grandmother and my aunty often baked this for us. I think every kids at my age also had same memory about this cake. We can find this delicious kind of cake when somebody had celebration like birthday, circumcision, marriage or just family gathering. That is why make this so cake so memorable classic and every kids' favorite cake. And every family has their own recipe.